"I have decided to create some simpler puzzle designs while i'm working on my next project. Something easier for me to make, and also keeping everybody else's excitement alive! Anyone that knows me knows i love locks! So i have created my Interval puzzles. 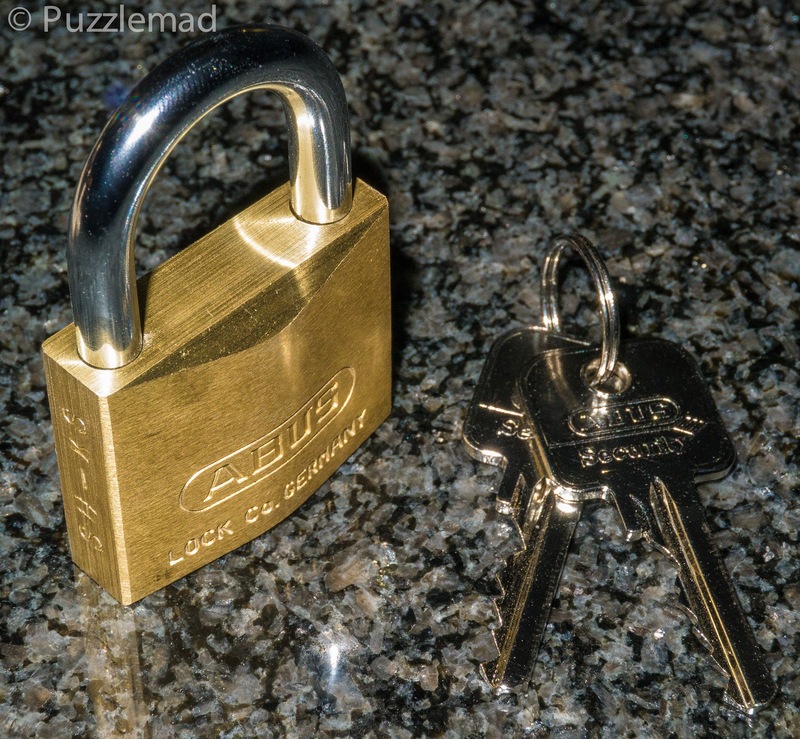 These puzzles are for all my old Agents (and current) I am worried that if an Agent receives a gift, then they believe they will never get another puzzle from me, This is NOT the case. But i will try to give out to as many of my 'main' puzzles to new people first till i have made my rounds. All my Agents have the chance of these new puzzles, i will only be doing so many of each, so we will have to see where they go." 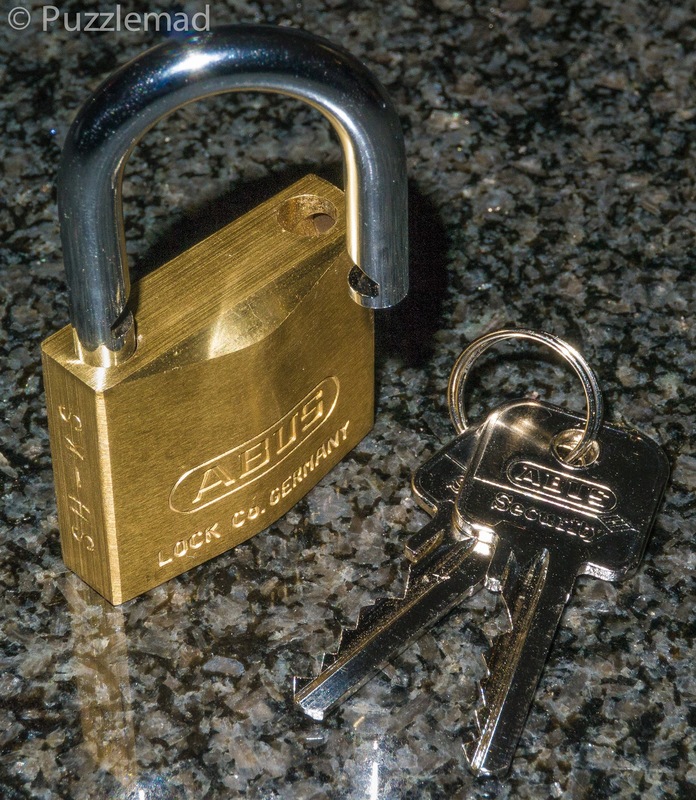 The lock that I received is called Imitation - as it's the sincerest form of flattery. It is based on the mechanism of one of Marcel Gillen's locks and Shane did gain permission from him. I don't have any puzzles from Marcel and had no clue how it worked. Shane apparently dismantled an existing lock and altered the mechanism so that putting the key in and turning it no longer works as you would expect. Apart from his initials and mine stamped on the side there is absolutely no sign of his tampering externally! I have absolutely no clue how he even opened it up let alone how he altered it! Phew! And this is supposed to be an easy one!!! It took me the best part of 2 hours before I had worked it out!!! If that's just an interim puzzle, then heaven help me when his next treasure, the Fort-Lock, comes out!